A Class Plumbing specialises in solving commercial, industrial and domestic plumbing problems from small to large, 24 hours 7 days a week. Our plumbing team is fully licensed, OH&S compliant and able to provide you with a 24 hour turnaround, free quotes and inspections together with emergency and same day service. A Class Plumbing has been a member of the Master Plumbers Association since 1971, maintains comprehensive insurance policies and invests in the most up-to-date plumbing technology in order to save you time and money when addressing your plumbing needs. 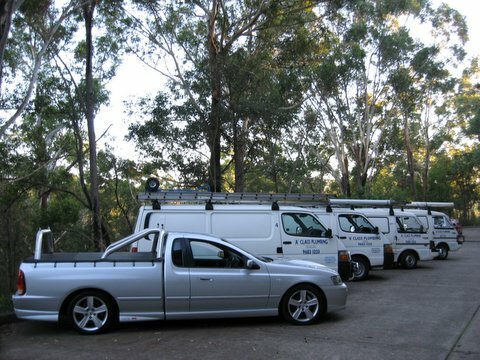 We operate 6 radio controlled fully equipped vans and use a specialised plumbing job tracking and quoting system to ensure you receive prompt and efficient service no matter what the job size. In operation for over 35 years we work with a range of organisations from Schools, Retirement Villages, Health Care Organisations, Shopping Malls, Office Fit Out Companies, Churches, Strata Managers and Commercial Builders ranging from large factories to small factory units.